When driving around your neighborhood or on familiar roads, it is easy to think that an accident could never happen, but this is not the case. Car accidents can happen at any time, and some car accidents can be quite serious. They can leave people dealing with negative impacts and severe injuries for years to come. On May 31, the Worcester Police Department receives information about a two-vehicle accident that involved a hit-and-run driver. The accident involved injuries that do not appear to be life-threatening. The police received news of the accident at 6 in the evening and arrived shortly afterwards to the scene at the 1st block of Kelley Square. Initially, emergency responders directed traffic around the area, and within the hour, the scene was cleared. The victim spoke to police about the incident. The search for the hit-and-run driver is still ongoing, and no further details were reported. 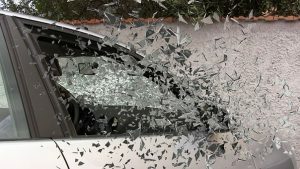 Hit-and-run accidents can be quite serious, and they can leave victims with injuries behind not getting the help they need. When victims are injured in these accidents, they can seek help for their injuries as is their right. We must all do our part to prevent accidents, but, if we cause an accident, we must also take responsibility for what happened. We are concerned members of the community, and because of this, we want our roads to be as safe as possible. At the Law Offices of Jeffrey S. Glassman, we are dedicated to raising awareness about the potentially devastating consequences of reckless driving. However, we know that accidents can happen, and so we are also dedicated to helping victims recover their losses so they can move forward.